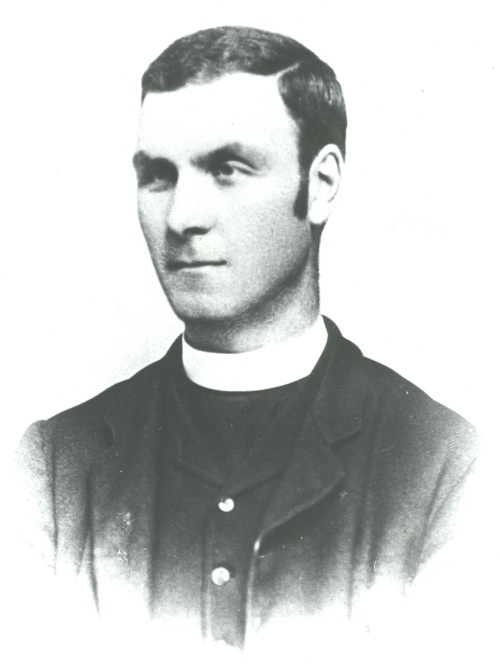 The Reverend Edward Foord-Kelcey was born in Smeeth, Kent, came to Quorn in 1892 and stayed until September 1909 when he was posted to Kimble parish in Buckinghamshire. The Reverend was a complex man who was able to take a delight in modern times, such as being the first villager to posses a pneumatic tyred bicycle and the first to drive and own a motor car. Conversely, he also had an abiding interest in local history and contributed this series of articles to the church magazine during 1908. He recorded the changes he saw around him but also looked back in time giving us first hand anecdotes from his elderly parishioners, some of these dating back to the early years of the 19th century. His writings have been recorded in a modern day book - The Kelcey Walks (see the Quorn Publications section of this website). Through his gentle, lyrical words, we can get a unique insight as to how Quorn looked and functioned as a village caught up in fast moving times at the beginning of the 20th century, in the halcyon days before the on-set of the first World War and the loss of so many young lives.